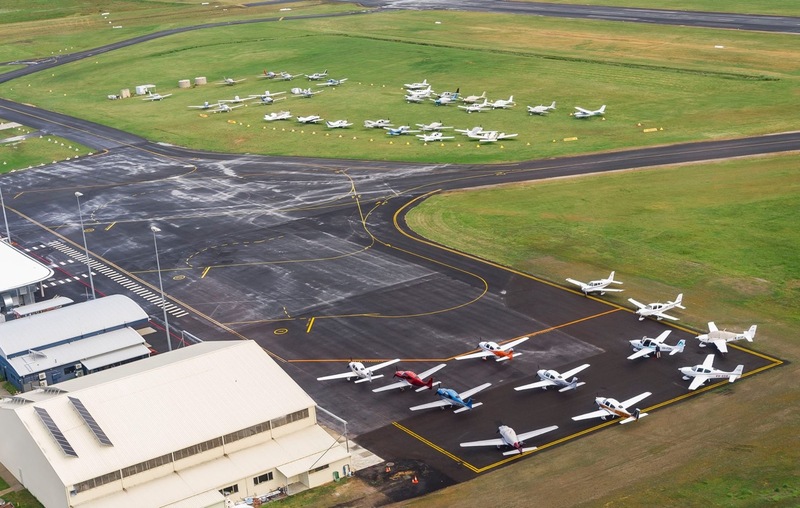 Every two years, the Cirrus Owners and Pilots Association members gather together at a regional aerodrome to participate in their Pilot Proficiency Program (CPPP). Flight and ground instructors from the USA migrate to Australia to freshen the skills of the attendees, present seminars and enjoy our higher standard of coffee.Held this year at the Orange Aero Club, the 2016 CPPP exceeded all expectations. Over 100 pilots and their partners attended the event with 40 aircraft flying in from every state in the country. Orange Aero Club and its incredibly dedicated members excelled in providing a huge assortment of food, in organising daytrips for the partners and offering the use of their exceptional Max Hazelton Aero Centre.The collective power of so many willing pilots created better-than-forecast weather for the Saturday flying and the 10 flying instructors were back-to-back conducting mentoring flights for over 20 Cirrus owners. 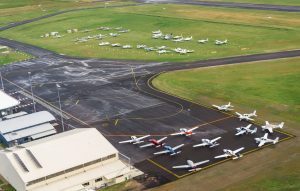 Ground seminars ran across three different classrooms, covering topics such as CAPS Decision Making, Psychology of Emergencies, Advanced Engine Management and Cirrus Ownership. The hugely successful Partners’ Program, hosted by COPA MC Sherri Taylor, was heavily attended and although I was unable to attend myself (I was at Prop Got Your Head Spinning?) I hear that ‘secret women’s business’ was conducted. Few were deterred by Sunday’s weather, and flying and seminars continued for those pilots not too ‘dusty’ to fly. The day concluded at three, whereupon we set off in our various directions, each of us greeted by one sort of weather nasty or another. Winds were fierce in all directions, but with a head full of knowledge and flying tips, each of us made it safely to our destination, all a little sharper and a little more informed than we were on Friday. In an era where fewer pilots linger at aero clubs to chat about flying, events like the CPPP are essential in bringing pilots together to share experiences, sharpen their skills and trade tips on their aircraft.